Laboratoire Astrophysique de Toulouse - Tarbes (UMR5572) - Hot Jupiters courting baby stars ? Accueil > Équipes > Magnétisme Solaire et Stellaire > donati > Hot Jupiters courting baby stars ? Although first detected 20 years ago, hot Jupiters are still enigmatic bodies. These celestial objects are giant Jupiter-like exoplanets that orbit 20 times closer to their host stars than the Earth does to the Sun. Using the ESPaDOnS spectro-polarimeter on the 3.6m Canada-France-Hawaii Telescope (CFHT1) atop Maunakea, a dormant volcano on the big island of Hawaii, an international team of astronomers led by Dr JF Donati (CNRS/INSU, UFTMiP, OMP, IRAP2) secured preliminary evidence that hot Jupiters can be generated in as little as a few million years - a timescale equivalent to one week if the 10-billion-year-lifetime of a planetary system were scaled down to a human life. This discovery, published in the Monthly Notices of the Royal Astronomical Society (MNRAS), will help us better understand how planetary systems like (or unlike) the solar system form and evolve into maturity. In our solar system, rocky planets like the Earth or Mars are found near the Sun whereas giant planets like Jupiter and Saturn orbit much further out. « Hence the surprise in 1995 when Mayor & Queloz first unveiled a giant planet sitting very close to its host star » says Dr C Moutou, CNRS astronomer at CFHT and co-author of this new study. Since then, astronomers demonstrated that such planets must form in the outer regions of the protoplanetary disc - the matrix from which both the central star and surrounding planets are born - then migrate inwards and yet avoid falling into their host star. This could happen either very early in their lives, when still embedded within their primordial disc. Or much later, once multiple planets are formed and mutually interact in a rather unstable choreography - with some being pushed inwards at the immediate vicinity of their stars. Formation of stars and their planets in the Taurus nursery as seen at millimeter wavelengths by the APEX telescope in Chile (credits ESO/APEX). An international team of astronomers led by Dr JF Donati just secured preliminary evidence supporting the first of these two scenarios. Using ESPaDOnS, a spectropolarimeter built by IRAP / OMP for the CFHT, they looked at newly-born stars in the Taurus stellar nursery about 450 light-years away from us. They showed that the latest baby star they scrutinized, nicknamed V830 Tau, exhibits signatures that closely resemble those caused by a 1.4 Jupiter-mass planet orbiting 15 times closer to its host star than the Earth does to the Sun. This discovery, published in MNRAS3, provides preliminary evidence that hot Jupiters may be extremely young and far more frequent around very young stars than around mature Sun-like stars. Spots, planet (top) and magnetic field lines (bottom) of V830 Tau as reconstructed from ESPaDOnS observations (credit JF Donati). Although potentially very informative about planet formation, young stars are extremely challenging to observe. « Being enormously active and strongly magnetic, baby stars are covered with huge spots hundreds of times wider than those of our Sun, which generate perturbations in their spectra much larger than those caused by orbiting planets. 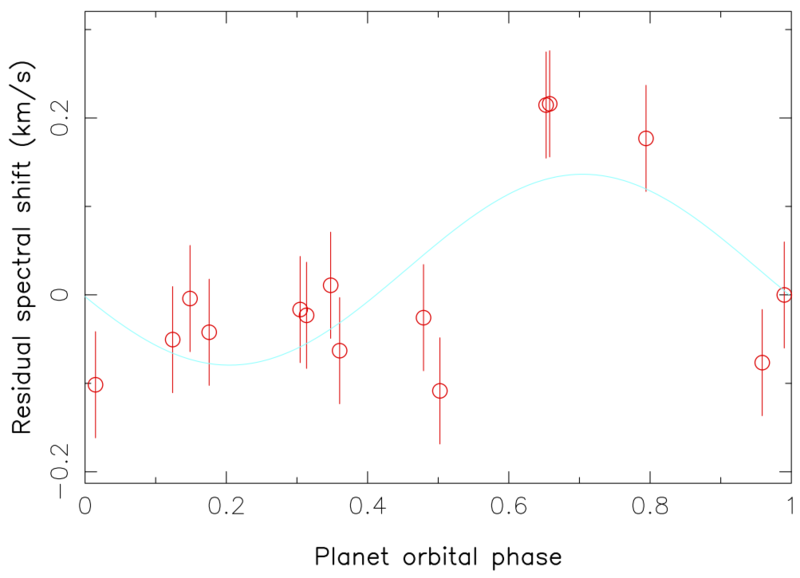 As a result, their planets are quite tricky to detect, even in the case of hot Jupiters », outlines E Hébrard, PhD student at IRAP / OMP and co-author of the study. To address this issue, the team initiated the MaTYSSE4 survey aimed at mapping the surfaces of baby stars and at looking for the potential presence of hot Jupiters. 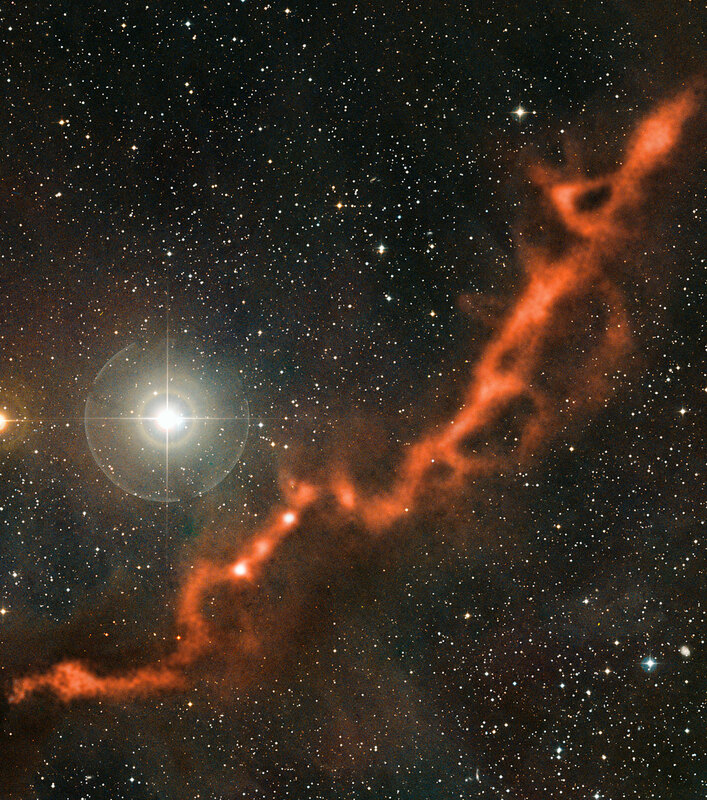 ESPaDOnS observations of V830 Tau - a baby star in the Taurus nursery. Once the polluting effect of spots is removed, the residual shift of the spectrum (red dots and error bars) varies with time with a 6-day period. This spectral motion is compatible with that expected from a 1.4 Jupiter-mass planet orbiting at only 1/15th of the Sun-Earth distance (light blue curve). More densely-sampled observations are necessary to validate this preliminary result (credit JF Donati). « By monitoring these stars and using tomographic techniques inspired from medical imaging, we can unveil how dark and bright features are distributed across their surfaces, and how their magnetic fields expand into space. This modeling allows us to compensate for the perturbations that spots and fields generate in the spectra of young stars, and thus to regain the power of diagnosing the presence of close-in giant planets », explains Dr G Hussain (ESO, UFTMiP), co-author of the study. In the case of V830 Tau, the authors accurately modeled the surface field and spots in order to clean out their polluting effects, enabling them to discover the much weaker signal that hints at the presence of a giant planet. Although more data are required for a definite validation, this promising first result clearly demonstrates that the technique the team devised is powerful enough to solve the puzzling question of how hot Jupiters form. CFHT with a CAD view of SPIRou - the forthcoming spectropolarimeter in construction at OMP/IRAP (not to scale - credit JC Cuillandre for the CFHT image). « SPIRou5, the new instrument currently built for CFHT by our team and scheduled for first light in 2017, will offer vastly superior performances thanks to its operation at near infrared wavelengths, at which young stars are far brighter, and will allow us to address this long-standing problem with unprecedented accuracy », Dr JF Donati adds. 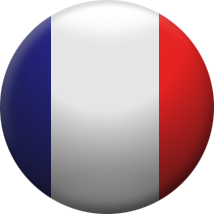 CFHT is operated by the National Research Council of Canada, CNRS/INSU in France and the University of Hawaii. CNRS/INSU : Centre National de la Recherche Scientifique / Institut National des Sciences de l’Univers, in France ; UFTMiP : Université Fédérale Toulouse Midi-Pyrénées, in Toulouse ; OMP : Observatoire Midi-Pyrénées, in Toulouse ; IRAP : Institut de Recherche en Astrophysique et Planétologie, in Toulouse. The full paper, entitled Magnetic activity and hot Jupiters of young Suns : the weak-line T Tauri stars V819 Tau and V830 Tau, by JF Donati, E Hébrard, G Hussain, C Moutou, L Malo, K Grankin, AA Vidotto, SHP Alencar, SG Gregory, MM Jardine, G Herczeg, J Morin, R Fares, F Ménard, J Bouvier, X Delfosse, R Doyon, M Takami, P Figueira, P Petit, I Boisse and the MaTYSSE collaboration, is published by MNRAS / Oxford University Press and is accessible on arXiv. MaTYSSE stands for « Magnetic Topologies of Young Stars and the Survival of close-in giant Exoplanets » and is a CFHT Large Program started in 2013 with ESPaDOnS, in the framework of an international science collaboration. SPIRou, standing for ‘SpectroPolarimètre InfraRouge’, is a near-infrared spectropolarimeter and a high-precision velocimeter optimized for the detection of habitable Earth twins orbiting around nearby red dwarf stars, as well as for the study of forming Sun-like stars and their planets. SPIRou is managed in the framework of an international consortium led by France and involving CFHT, Canada, Brazil, Taiwan, Switzerland and Portugal. The construction of SPIRou has started in 2015, with integration in Toulouse, France, scheduled for 2016 and first light at CFHT for 2017.